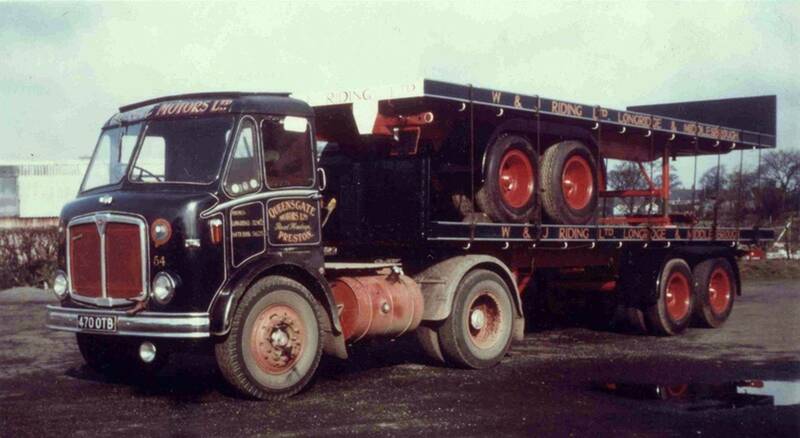 AEC Mercury 4x2 tractor unit Reg No 470 OTB Fleet No 54 was a brand new addition to the fleet in 1960. 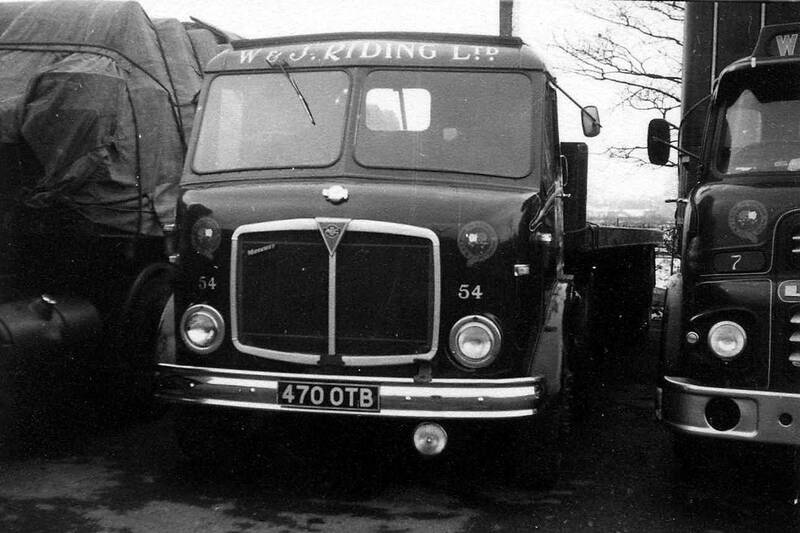 Nicknamed 'Our Tom's Baby' it was bought in preference to a Super-Comet and was in fact the only AEC vehicle to enter service with W& J Riding. "Fitted with a 5 speed gearbox and 2 speed axle it had excellent brakes and was very nice to drive. 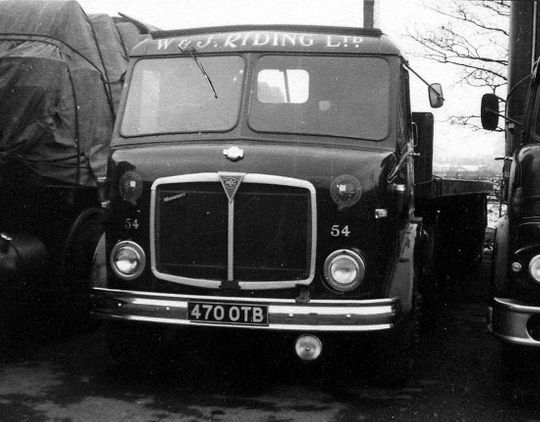 Unfortunately, in my experience, the AEC engine could not take the same pain as the Leyland or Gardner engines and engine life was always it's problem which resulted in us only ever having this single AEC in our fleet".